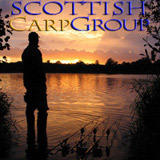 Scottish Carper - View topic - Creating new forum user accounts. Creating new forum user accounts. From now on, anyone wishing to become an active user of this forum and register as a user by setting up an account will need to wait for the account to be activated by a member of the forum admin. This is due to spammers posting rubbish on the forum. If you do register an account, make sure you fill in the profile and try to create a user name that includes either your name or something fishing related, this helps us weed out the spammers. If you do have any problems creating an account, please contact us so we can help. Re: Creating new forum user accounts. Do they have some sort of script running ?? banned by ip & email so must be something weird going on ???? I am getting registered account notifications to my email. Yes, this is a bot. However, user registration confirmation will require them to confirm their email and admin to activate the accounts however, we will just delete them. quite happy to see it being shoved right up this numptie Just a shame it's generating time consuming work for everybody but in case nobody has said, I'm sure all the genuine users like myself are grateful for all that is being done. Thanks for the comments and yes it is a pain in the rear! If anyone has tried to join and is genuine but got a knock back please email us and it can be sorted out, new members should use sensible user name and make sure you fill in profile details when creating an account, this way it's easier to spot the genuine user from the spammers! Not just one ejit hundreds ???????????? The captcha on the registration page has been amended so hopefully that should be the end of it....I have a few more tricks up my sleeve however, they may take a couple of hours to implement ! The latest captcha amendment seems to have stopped bots registering and as such, I have now set new account activations to User rather than approval by Admin. If bots start to register again, we will revert back to Admin approval of new accounts while we implement further spam prevention methods.